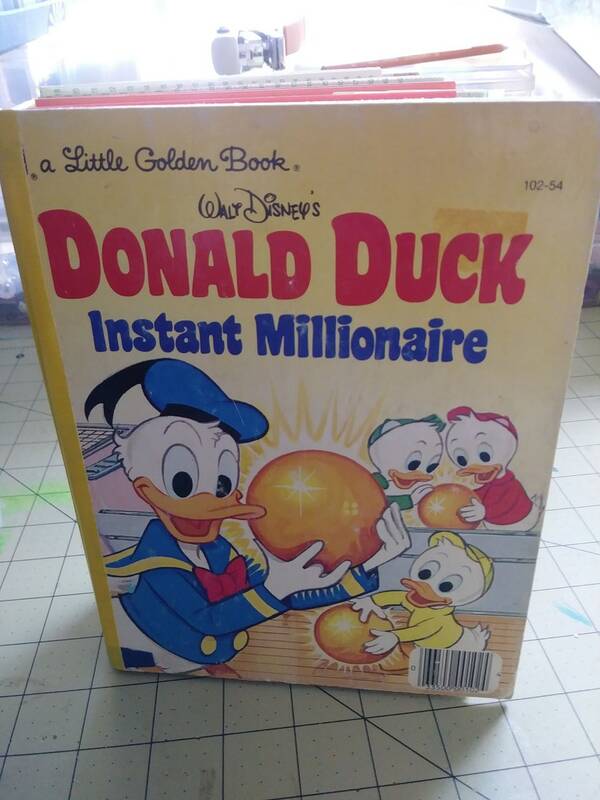 This journal is a Little Golden Book Donald Duck, Instant Millionaire 6x8 notebook, journal, altered book. It has 3 signatures 144 pages. It is great as a gift or for a memory journal, or other kind of journal. we ship within 3 business days.